Hello everyone! Two posts in one day…. you lucky lucky people! Anyway…. 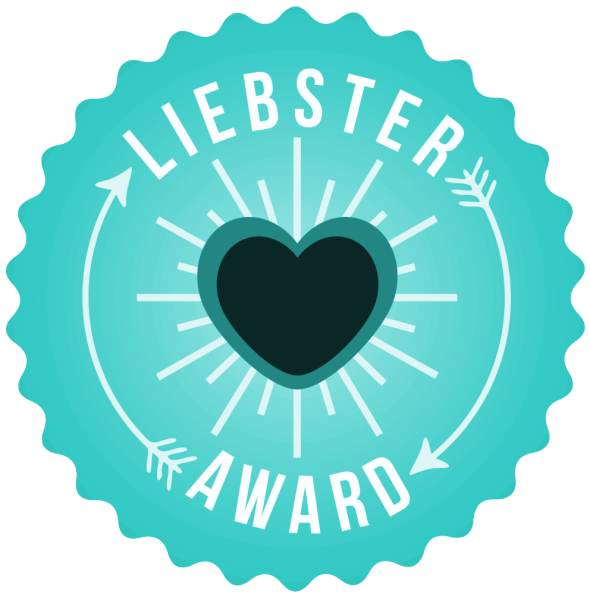 The Liebster Award is a lovely lovely idea to give those smaller / newer blogs with less than 200 followers the chance to meet / discover other new bloggers in the community! -You must provide a link back to the person who nominated you. – You must tell the people you nominate, that you have nominated them! Gosh this is a really really hard one.. I am rubbish at answering questions like this 🙁 I particularly remember lots of the clumsy things I used to do as a child.. and there was A LOT. An example, walking outside on the decking bare foot and getting SO so SO many splinters in my poor feet, and my dad hand picking each one out.. OUCH. never again. 2. Who was the first YouTuber you subscribed to? Hmmmm this is quite an old one, and I wouldn’t necessarily call her a ‘youtuber’ more of a singer but back in the day I really really loved Esmee Denters voice, and I think she was the first I would have subscribed to! Ummm no not really 🙁 Not that I can think of right now, That is kind of sad..
4. What is your favourite nail polish? My current favourite is in the Barry M silk range and I think it is called Poppy. It is GORGEOUS with a top coat on. Ahh I love love love it. 5. Do you have a winter coat? Yes yes I do, I got it last year, and it is a big cosy Superdry one with a fluffy inside. And I LOVE IT. I get cold a lot, and I even wear this sat at my desk at work… pretty much for the entire day. Ooppsss. 7. How long do you go between hair washes? BE HONEST! English, and a petit amount of french. – see what I did there…..
9. Which social media site / app do you use the most? I would say Instagram or Twitter. Love them both, but I think twitter just beats it. I love Twitter, it is a very powerful tool in this day. 10. Last film you watched? Ummmm I think it was The Hunger Games Mockingjay Part 1 in the cinema. SO GOOD. 11. What’s the next blog post going to be called? 1. What is an interesting quirky fact about yourself? 3. Do you have any goals / resolutions for 2015? 5. What is your favourite food EVER? 6. What is your favourite scent? 8. What song do you keep re-playing at the moment? 9. Salty or Sweet Popcorn? 10. Where would you love to work / are you working towards? Thanks lovelies, I enjoyed writing this post, and I hope you enjoy writing it too. BUT I AM STARVING, So I am off to grab something to eat!! Previous Post BLOGMAS #6 | My Two Favourite MAC Lipsticks | Gift Ideas! Thank you for the nomination! I have replied to your questions on my blog post – hope you like my answers.